We are there every step of the way. We give you expert advice, value your property, take professional photos, accompany your viewings, negotiate the best price for your property, recommend trusted solicitors and progress the sale all the way through to completion. We market your property on several platforms including Rightmove, Zoopla, On The Market, Social Media & Prime Location to put you in front of more buyers. We also have an impressive window display incorporating an interactive touchscreen allowing prospective buyers to view your home at the touch of a button 24/7. Weare able to monitor the level of interest your property is receiving on Rightmove and Zoopla. We will feed this information back to you on a regular basis. This helps us to determine your next marketing steps. We believe it’s important for our vendors and purchasers alike to be able to visit us face to face as we like to build strong relationships. We are conveniently located at the Victoria House roundabout with parking facilities outside. We are always on hand, with our telephone lines being open 7 days a week and our office Monday –Saturday.We understand the importance of this and ensure that we never miss a buyer for your property. 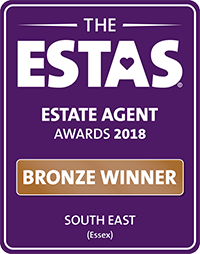 Our team has over 60 years’ experience in property and are proud winners of the Bronze Award in the prestigious 2018 National ESTAS Awards. You are not just a number we value people as well as property.No Sale - No Fee. We get paid for our success.